Georgina Road Watch is a partnership among citizens, police, the Ontario Ministry of Transportation and the Town of Georgina to fight aggressive driving in Georgina. The Road Watch Program began in Caledon in August 1993 with immense support from the citizens and businesses throughout their community. 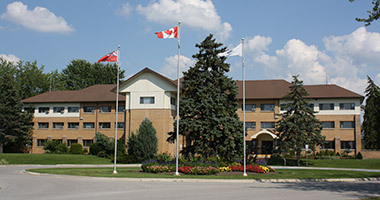 In the spring of 1997, King Township became the first municipality in York Region to implement the program. In 2001, following the receipt of a grant from the Province of Ontario, the Georgina Road Watch Program began operating. The Road Watch program was implemented to address many traffic concerns and incidents relating to aggressive driving, which occur throughout Georgina on a regular basis. The Road Watch Program is a partnership initiative between the Georgina Road Watch Committee, York Regional Police, the Ministry of Transportation, the Corporation of the Town of Georgina, and the citizens and business community of Georgina to address aggressive driving. The program integrates three components essential to modifying driver attitudes that include education, awareness and enforcement. Road Watch signs have been erected on roads entering Georgina. Pads of Citizen Report Forms are available from the local police station and the YRP Road Watch website. A Citizen Report Form may be used any time you observe an act of aggressive driving. Please ensure that you include as much of the requested information as possible especially the license plate information. Your name, address and telephone number must be included on in the report. All information is kept in strict confidence. A subsequent offence will result in a personal visit from the police and possible charges. Please remember that if the incident is of an urgent nature, call the police immediately. Aggressive driving consists of speeding, following too close, failure to yield right-of-way, improper lane changes, improper passing, disobeying traffic sings and signals and impaired driving. You can do your part by setting an example of good driving habits. Our roads can be safe if we all take responsibility. Driving is a privilege. If you are a thrill seeker, think twice before you put your foot on the accelerator. Selfish moments of speeding and aggressive driving can have a permanent effect on someone's life. Slow down... Stay in control.